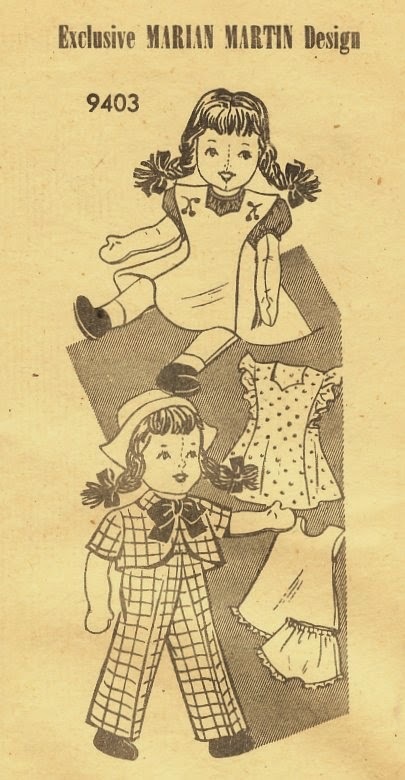 Marian Martin pattern #9403 makes a 22" girl doll with a nice wardrobe of clothes. It is not dated, but I am guessing it dates to the early 1940s. The pattern is the old diecut style tissue, unprinted, with holes to indicate the number of the piece and any markings. 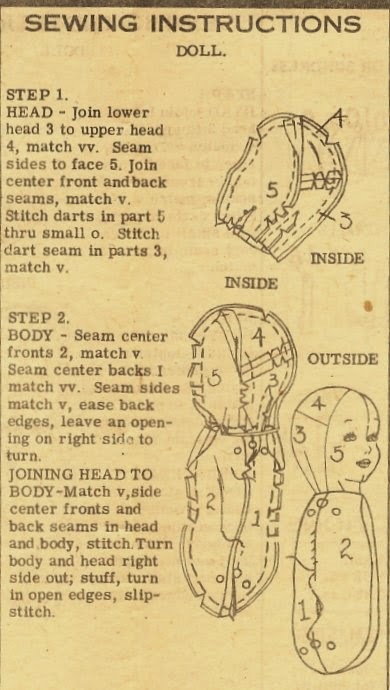 The doll has a center-seam face, with multiple seams and darts in the head to give it shape. She has mitten hands and embroidered features. Her arms and legs are left unstuffed at the top, then sewn in place so that they are not exactly jointed, but do allow some movement. Her hair is wool yarn. Her wardrobe consists of a slip and pantie, peasant style blouse, overalls and bolero jacket, and jumper and/or sundress. 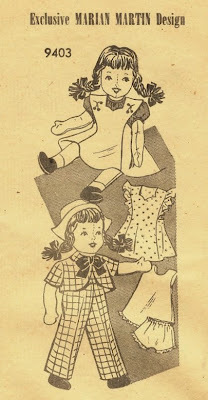 The sweetheart neckline of the jumper/sundress is a nice vintage detail. All the instructions for this pattern, including cutting layouts, are printed on one side of a 15" x 19.5" sheet, so as you can imagine, they are not very detailed. 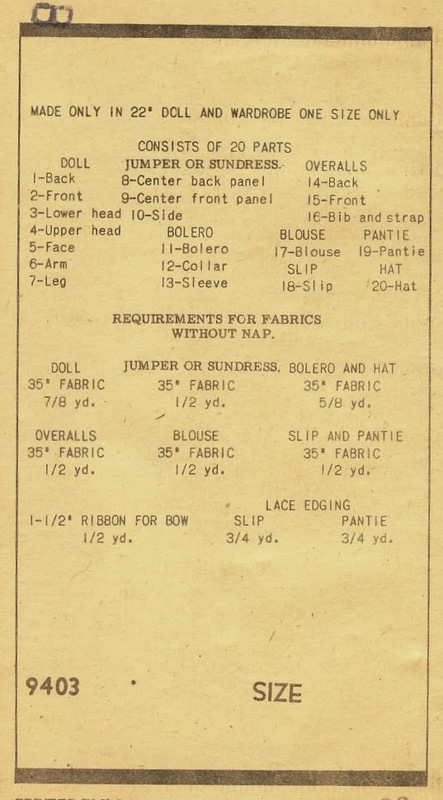 (The reverse side of the sheet has "Practical Dressmaking Hints," most of which are not applicable to this doll.) And the unprinted pattern pieces are a challenge. The doll looks adorable, however, so if you are an experienced sewer, this one might be worth a try.